Nog maar net verkrijgbaar en voorzien van een prijskaartje, komen de eerste reviews op gang. Nog niet van eigen bodem, maar van de andere kant van de Noordzee, Engeland. Als je graag eerst wat meer wilt weten voor je over gaat tot de koop van zo’n prachtexemplaar, kan het lezen van onderstaand je wellicht wat helpen met de beslissing. Focus ST-Line – This is one of those wannabe gangsta, sporty-but-not-sporty trim levels, isn’t it? Spot on. Ford, as is basically every other carmaker with a performance sub-brand worth speaking of, is trying to cash-in on the halo effect of its ST hot hatch models with a new trim level that bags similar looks but none of the associated brawn. ST-Line is aimed at folks who like the sporting ST image but either can’t afford to take the on full-fat tyre-squealer running costs, or those who aren’t keen on the side effects of the inevitable, backside-bruising suspension upgrades that feature alongside the uprated engines. This new no-meat-but-most-of-the-trimmings alternative is available on the Fiesta, Focus, Mondeo and Kuga. 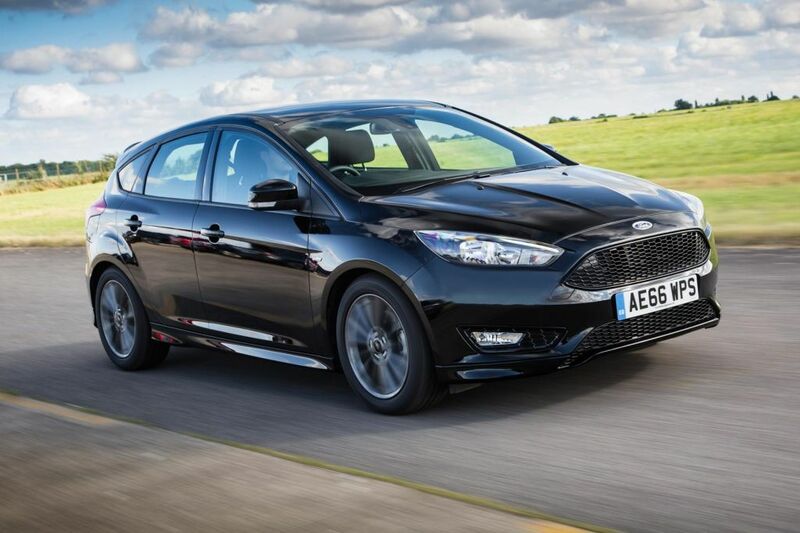 So how much like a proper Focus ST does the Focus ST-Line really look? It’s not bad from a distance – the bumpers and side skirts follow similar lines and you do get lowered sports suspension as part of the package. It would be enough to fool most people at a glance. But as you get closer, you’ll spot that the 17-inch ‘Rock Metallic Grey’ alloy wheels don’t fill the arches with quite the same promise. Round the back – where the ST proper features twin centre-exit exhaust finishers – there’s just a simple black diffuser insert on the ST-Line and a single, limp-looking peashooter of a tailpipe on one side. Sports suspension – I thought you said it wasn’t supposed to be spine-crushingly uncomfortable? I actually said backside-bruising, but either way, don’t panic. The ST-Line set-up is 10mm lower than standard but Ford hasn’t removed the springs and dampers altogether – in fact it feels very nicely judged for the UK. 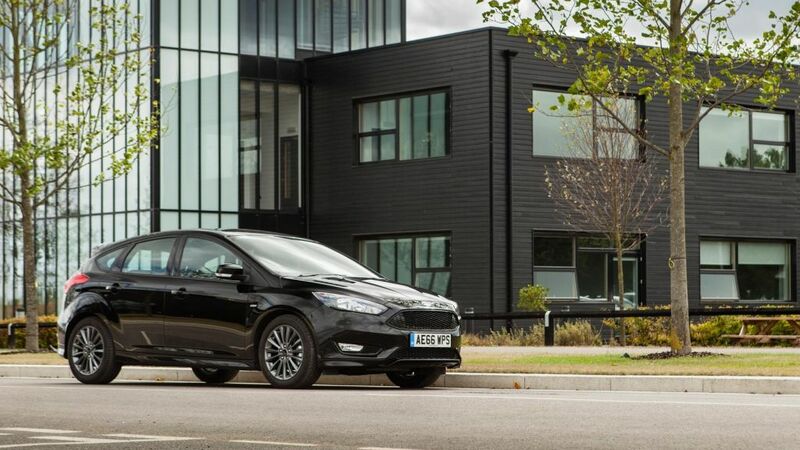 There’s enough compliance to deal with your typical neglected urban or B-road surface, but the body movement is just a little more tightly controlled in the turns, allowing Ford’s long-standing chassis genius to shine just a little more brightly. The steering weighting and feel complements the remaining body roll superbly, and you’re unlikely to punt this car into a corner without being extremely confident about the reaction you’re going to get in response. It is really. 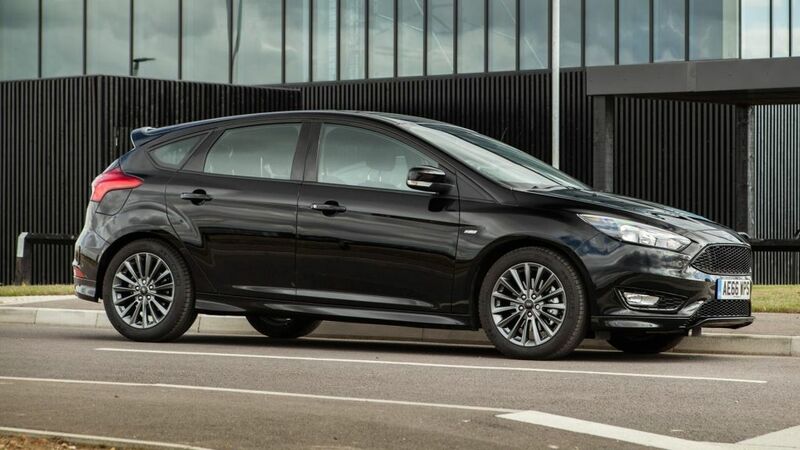 The ST-Line Focus is an enjoyable, stress-free thing to swan about in, whether you’re pottering along or giving death to the accelerator pedal. You’re about to ruin it all by telling it’s got about as much power as a decade-old washing machine on an eco-cycle aren’t you? Depends on how you look at it – I mean, the regular ST has 247bhp and up to 266lb ft (on overboost), which is still a pretty decent hunk of muscle four years after launch. And since the whole point of this ST-Line exercise is to make the image accessible to more people, you can’t expect it to get too close to that. There are three Ecoboost turbo petrol engine choices in the Focus ST-Line: a 123bhp 1.0-litre triple, a 148bhp 1.5-litre four or a 179bhp 1.5-litre four. There’s also a sole 1.5-litre TDCi option, producing 118bhp. The one tested here is the middle-ranking 148bhp Ecoboost petrol offering, which with an accompanying 177lb ft has just enough oomph to pull the skin off a rice pudding with reasonable conviction – but is unlikely to bring you out in cold sweats at night. Keep stirring the six-speed manual ’box, however, and it can at least keep that well-sorted chassis interested. Makes a pleasant but nicely unobtrusive noise under duress, as well. The Ford Focus ST-Line also drinks far less fuel than its fire-breathing idol, with a claimed 51.4mpg versus the real ST’s 41.5mpg. Obviously the ST-Line’s tax and insurance costs are also suitably restrained by comparison. Much to get excited about on the inside? The interior’s a bit of a let-down, to be honest. The only difference we could spot was the faintly red stitching on the moderately sculpted seats. But Ford hardly went to town on the Focus RS cabin, so it wasn’t exactly going to get carried away on the ST-Line, was it? 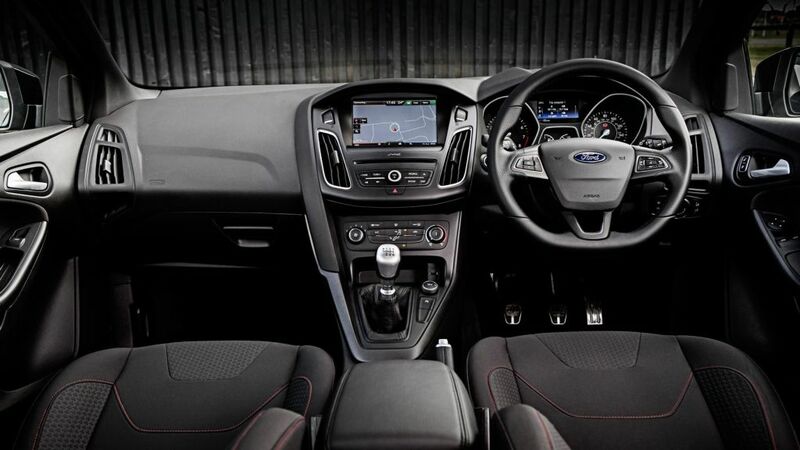 On the plus side, you sit nice and low and the basic ergonomics are as good here as they are in any other Focus – which is to say they’re pretty excellent. 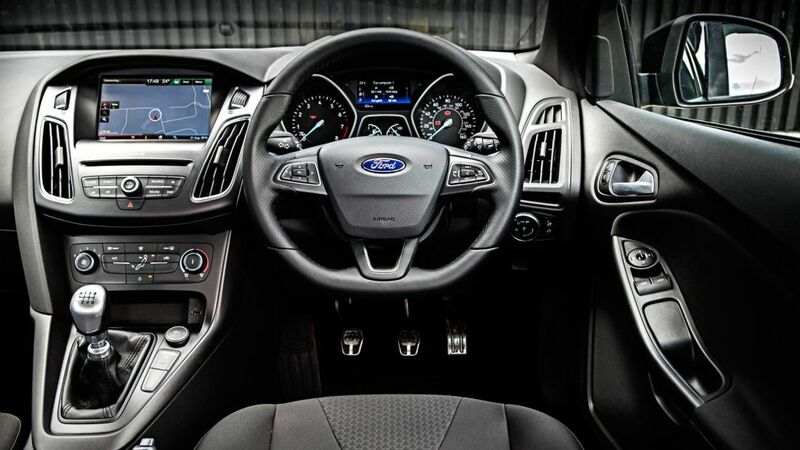 But the dashboard plastics are starting to look rather dour these days, as if Ford thinks you’re the sort of person who might enjoy flagellating themselves with a birch stick on a weekend, rather than indulging in some soft-touch luxury. Not much to dislike here at all – assuming you’re not someone who busts an artery at the sight of an M badge on the back of a boggo 320d, anyway. The wheels look a little small, but the ST-Line looks good from the outside, is comfy on the inside and in 148bhp guise has just enough gumption to get up and storm that barn dance. Those fabled target buyers should find themselves thoroughly satisfied indeed. 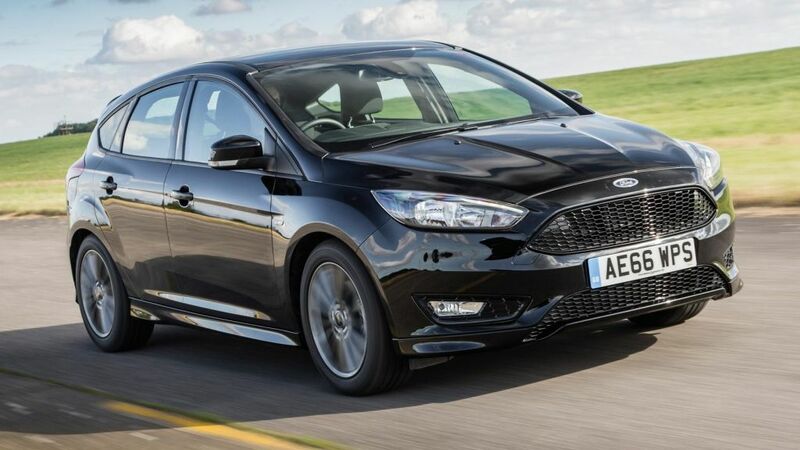 But perhaps they really are members of the birch stick appreciation society because this ST-Line Focus – as tested with optional metallic paint and sat-nav infotaiment system – costs £21,920. That’s just £800 shy of the entry-level list price for the real thing… And that’s not a lot of money to pay for an extra 100bhp.